A vicious wild boar terrorizes the Australian outback. I've always had a soft spot when it comes to Australian Horror films. Now who doesn't love films about giant killer animals?! It was the main reason that I really wanted to watch this film, I know the plot sounds a little ridiculous but it actually works out well. I remember first seeing this on VHS and as good a job as they did on the DVD/Blu-Ray transfer I must say that I miss the crackle and graininess of the old film. The film has some amazing cinematography and a fantastic score to boot, creating such an amazing atmosphere in the desolate landscape. The two of them compliment each other so well that it draws you into the film. 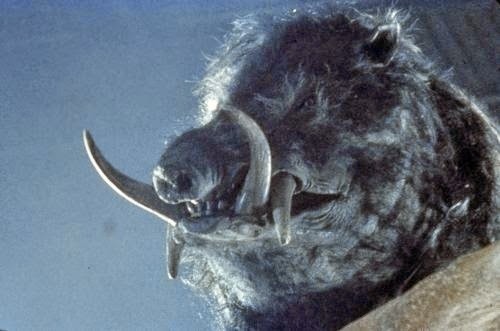 The cast do a fantastic job but the true star is the giant pig, seeing as this was the days before CGI they made one hell of a practical effect and highly realistic. 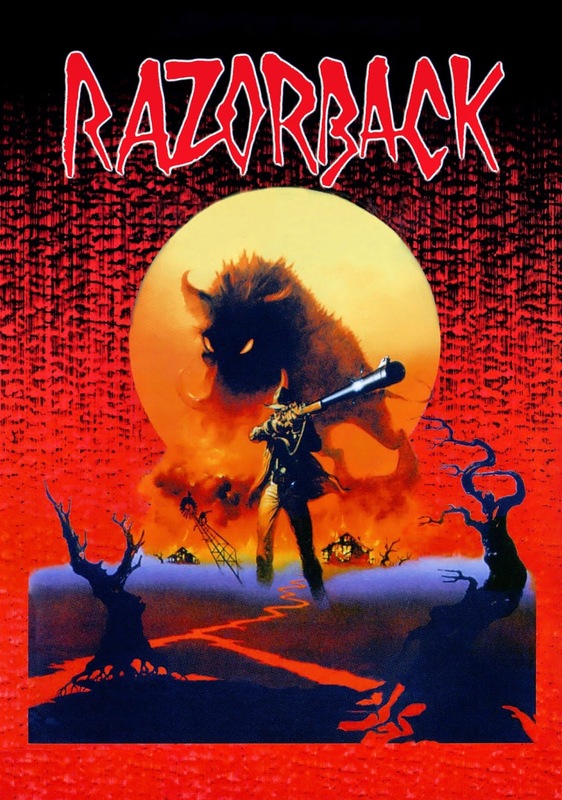 "Razorback" is a fun Aussie Horror that I recommend to fans of 80's Horror, it's very under-rated.